These Rocks…Are ACTUALLY Plants! How Did They Do It?! 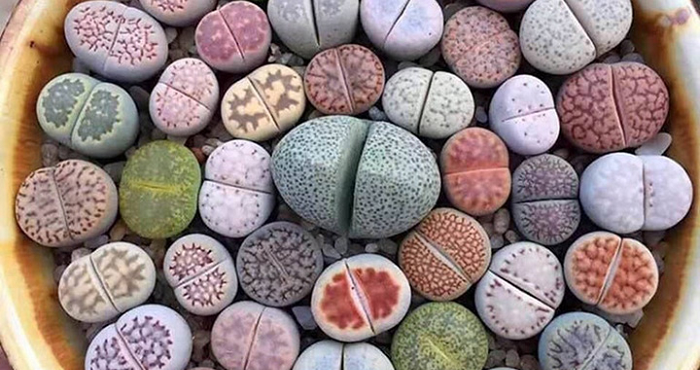 These aren’t decorative rocks, and even though they might look like something you’d find washed up on the shores of a nice beach, these little guys actually grow in the desert! Camouflaged to appear as much like pebbles as possible, these succulents hope that passing animals will think that they are as inedible as boulders! Despite being the sort of plant that flourishes in the arid desert, these plants are notoriously difficult to keep. They might have an average lifespan of 50 to 70 years, but the sad truth is that most people end up killing them in just a few months. You see, the secret is to leave them alone…and most people can’t do that! The little plants have gotten very good at absorbing water, and that means that they “hibernate” for several months out of the year. For example, if they get watered during the summer, they will most likely mold and die! They don’t expect to get more than a few inches of rain every year, and they especially don’t expect to be cared for by sympathetic humans who treat them like the other plants in their houses. 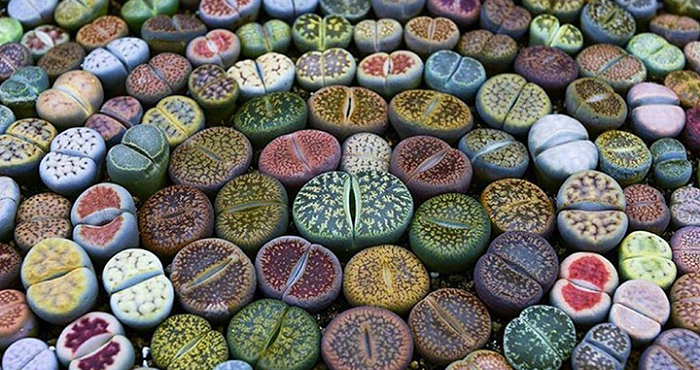 The Lithops thrive in dry, rocky terrain and aren’t a fan of rich, moist soil. While they may be difficult to care for…they sure are worth it! They can live for decades thanks to their ability to hide from predators in plain sight!